This all-inclusive ticket provides Admission to the Zoo, unlimited rides on the BB&T Express Train Ride and Conservation Carousel, and includes one admission to the 4-D Special FX Theater- featuring your choice of 3 short, captivating films! With your Cincinnati Zoo Adventure Ticket, you will have access to see hundreds of animal species and thousands of plant species. Experience amazing exhibits, such as face-to-face encounters with meerkats with pop up bubbles that allow you to have up close views of these charismatic creatures. The BB&T Express. This train ride circles the inner loop of the Zoo, giving a birds-eye view of some exhibits and a nice, relaxing ride around the Zoo's Swan Lake. This is a Zoo favorite! The Conservation Carousel. This is a blast for all ages! Our unique carousel gives riders the choice of their favorite animal - whether it's a gorilla or the critically endangered Sumatran rhino! 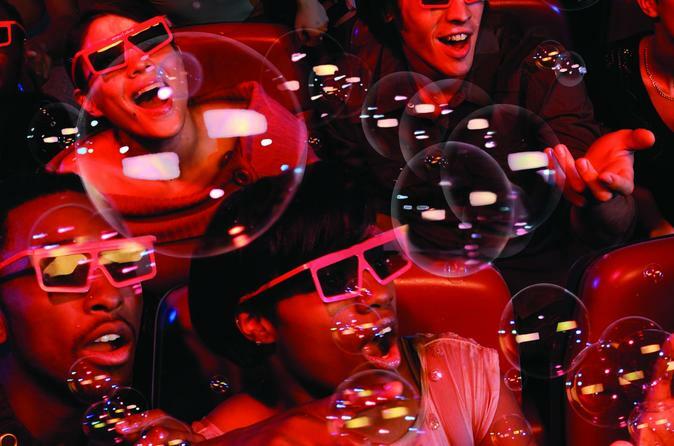 The 4-D Special FX Theater. This is an immersive experience that makes you feel like you're in the show! Enjoy a short, high-definition film along with special effects such as wind, water, smells, and even snow! Now showing: Yogi Bear 4-D, Wild Survivors 4-D, and A Turtle's Adventure. Special Offer - Book and save 13% compared to the local supplier's prices! - Book Now!